The must starts fermenting in contact with grape skin (maceration) for two days. After the fermentation in a big oak barrel stays on its own lees for a year and it is first put into inox barrel before the next grape harvest. 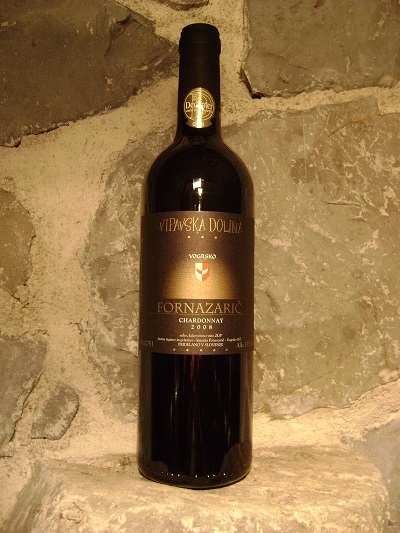 It matures and clears up in a cistern for another year so that it is bottled after two years without filtration. Characteristics: golden yellow colour and rather dense in the glass. The smell is intensive and especially fruity with a scent of a ripe peach and freshness of an apple. It is buttery and fresh. In mouth it is nicely creamy at first and then fruity flavours come out, complemented with crunchy minerality and freshness. Aftertaste is long and pleasant. Recommended dishes: recommended with white meat, shrimps and shells.